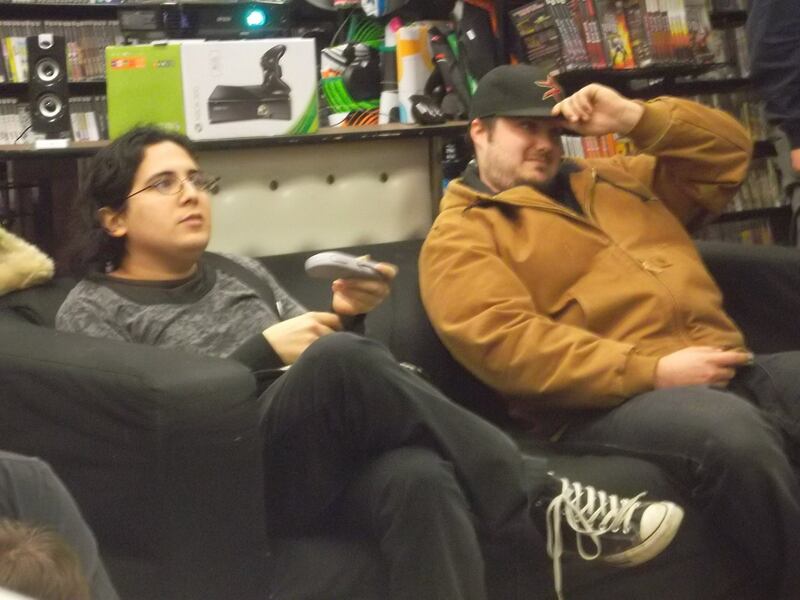 This entry was posted in Gaming and tagged Super Mario Kart, tournament, video games. Bookmark the permalink. I’m glad you all got together to play this game. I still play this and Mario 64 to this day with my cousins. Its good wholesome fun for everyone. It’s not a game I return to often. We were all pretty rusty. Most us just moved on to later versions of the game. While I grew up on the SNES Mario Kart, I now prefer the GBA Mario Kart simply because it has the old courses on there. But yeah we’ve all moved on to the Wii and Wii U versions. 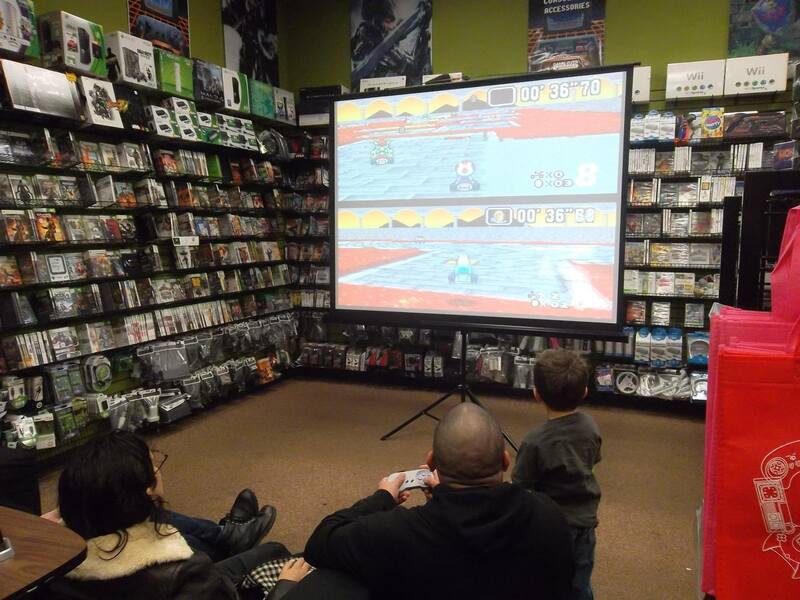 Still great to see people playing the game on a projector too. I never played the GBA one. It’s the only one I haven’t played. I had never played that game on a projetor; it was kinda neat. It sticks to the SNES formula, no hills, jump plates. Its still fun, but maybe that’s because I played it before the Wii version 🙂 Sorry to talk your ear off. It’s ok. I love getting comments. It sounds cool. I had a friend who loved it too, I just never played it for whatever reason. Yeah, I played it a lot as a kid. It was one of my favorite games. 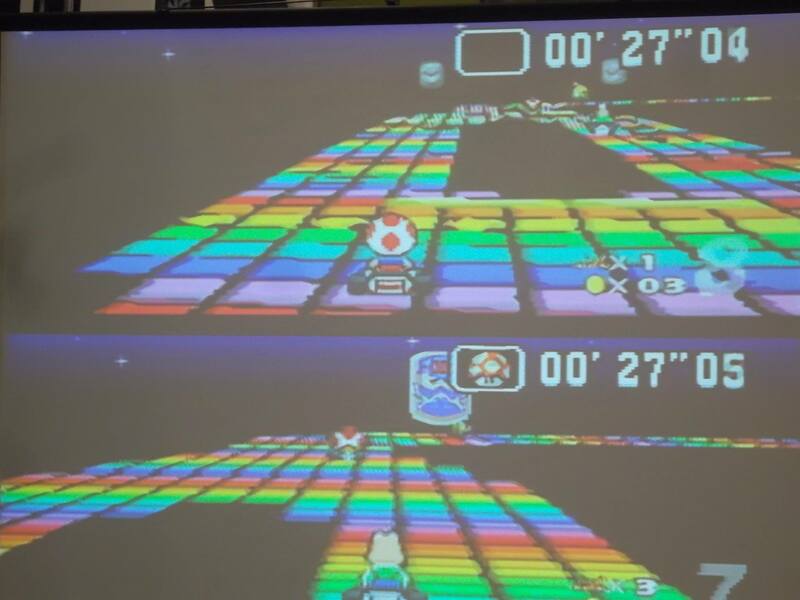 Oh man, I remember old school Mario Kart! I played that all the time in middle school. I love that they put it on that big projector. Was it hard to see, though? It looks kinda washed-out in that photo, but that might just be the angle or the lighting. It was surprisingly easy to see. I had an easy time. My first race, I never fell off the course (ghost stage) and beat the guy by a pretty big margin.